Linda (We’ll call her that to protect her innocence) was pondering a birthday wish list when she asked me for suggestions on camera accessories. Now this is something I can relate to. I’m always on the hunt for cool camera toys and keep my own camera accessories wish list, just in case someone should ever ask. Lenses - I know I should assume that you have a good lens, but I’m including it anyway because it is foundational to great photography. If you are shooting with your camera’s kit lens, try an upgrade to a basic 18-200 mm zoom lens. Most manufacturers have something in that range. You’ll wonder how you ever lived without it. Next, try and get at least one “fast” lens, which means you can take pictures down to at least an F 2.8 setting. 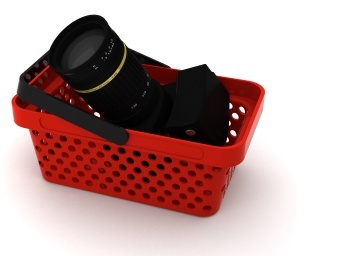 Filters - Many photographers keep a couple types of filters handy - UV and Polarizers. The UV filter will help protect your lens - especially if you don’t want to use the cap after every shot. Polarizer lenses will help you shoot through glass without producing a glare and see into water clearly. It will also help you dial up more vivid blues from your skies. Tripods & bean bags - Remember that slow shutter speeds introduce the potential to shake your camera and blur your images. For that reason, some wise person invented the tripod. You should have a sturdy one for times when you shoot in low light. Keep a table-top version in your camera bag. ExpoDisc - Setting your camera to automatic white balance will get you through most average situations, but if you need to make sure your white balance is perfect, you have to get one of these ExpoDiscs. Pop it on the end of your lens, and use it to calibrate a custom white balance. On most cameras that’s as simple as taking a picture. External flash - If you’ve taken my photo tour, you probably had to pinky swear that you wouldn’t use the pop-up flash unless absolutely necessary. Nothing in nature blasts you in the face with a burst of light, so that flash will never yield a natural-looking photo. If you must use artificial light, try an external flash that will allow you to use a diffuser or bounce the light off the ceiling. Bags & straps - You spent a lot of money on your camera, please invest in a decent bag and strap to protect your investment. Enough said. So there it is... the start of a birthday wish list. What’s on your list of oughta haves? Post a comment and share your thoughts. P.S. I included links to B&H Photo Video as examples. They don't pay me (Quite the opposite, actually), but they have good prices and a great variety of just about everything photographic.